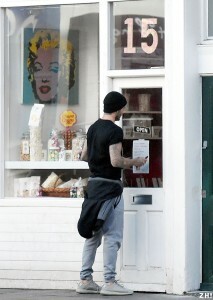 David shopping in London | February 2nd // Zigazig Ha! David was pictured shopping in London and seems he bought candles for Victoria and sweets for the kids. To view the pictures click on the gallery link below.